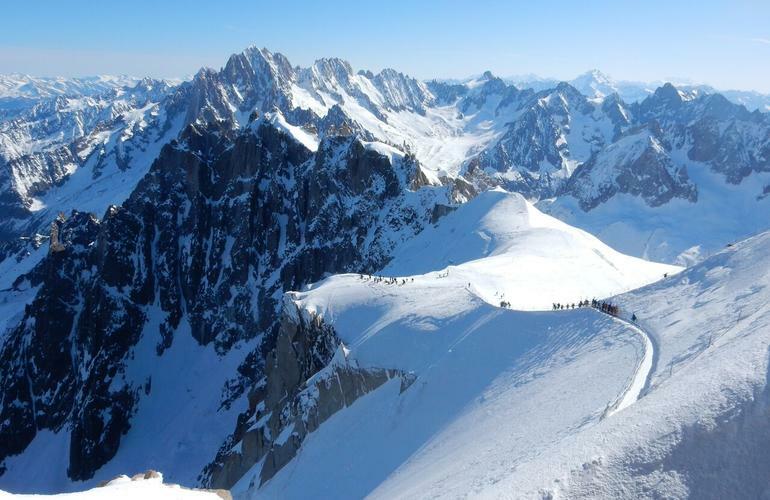 From the peak of the Aiguille du Midi at 3,842 metres, you will have access to one of the most beautiful glacial valley in Europe, the Vallée Blanche, for an unforgettable descent! 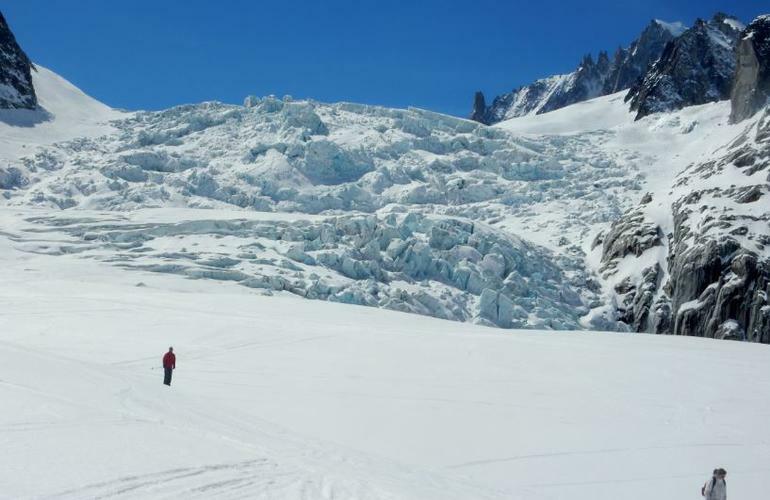 In the heart of the Mont-Blanc massif, you will take the telepheric up to the Aiguille du Midi to put your skis and go to the famous Vallée Blanche. After a picnic lunch at the "dining room", you will practice backcountry skiing until the bottom of the valley: a descent of 2,800 metres until Chamonix if the conditions are good. 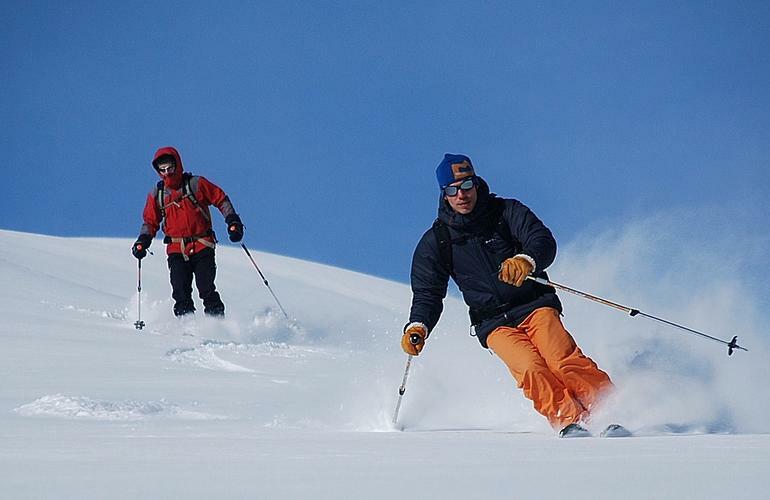 Several itineraries are possible depending on your level: from the simple skiing excursion to freeriding. 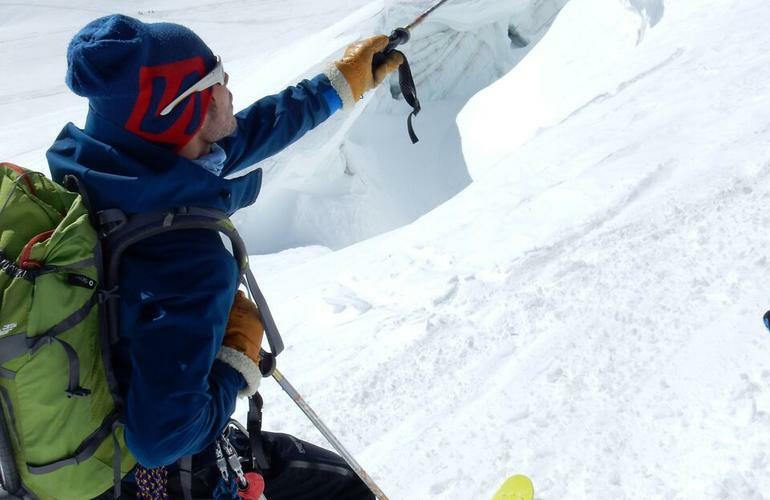 In any case, you will have the opportunity to gaze at the most famous peaks of the massif (Mont-Blanc, Dent du Géant, Grandes Jorasses, la Verte, les Drus...). 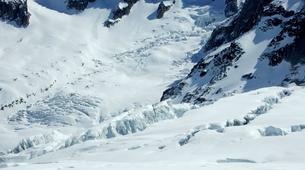 - The Classic: It's a perfect ski trip to enjoy the views and discover the Vallée Blanche with your friends or family. 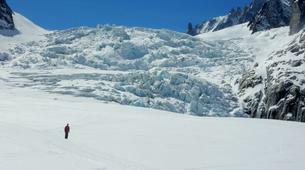 - The "Petit Envers": It's a route designed for good skiers composed of a succession of beautiful slopes and crevasses. 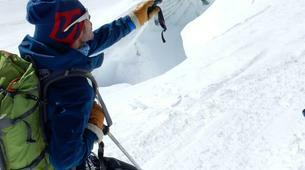 It is the most impressive and diverse itinerary of the valley. 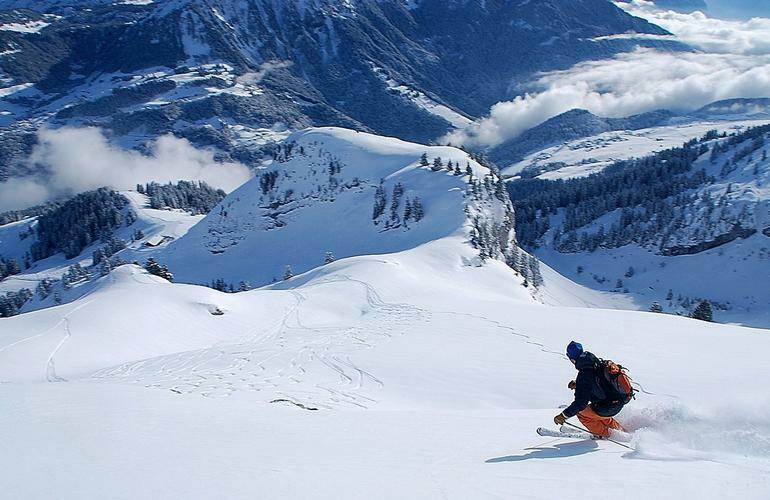 - The "Grand Envers": This itinerary has steep slopes and engaged runs, perfect for the skiing experts! 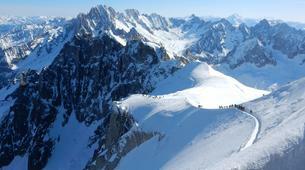 The descent of the Vallée Blanche (17 kms) is the favourite trip of Roc Emotion's instructors. They can adapt the itineraries according to the conditions while keeping the magical setting of this beautiful place! 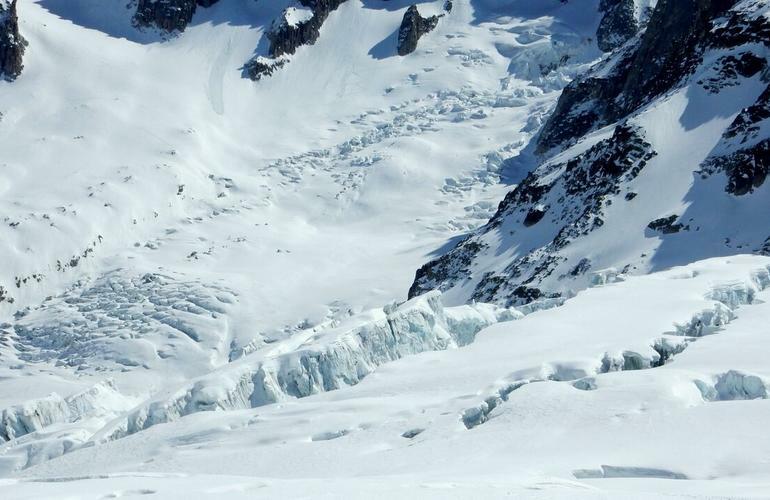 Choose the itinerary that suits your level between the Classic, the "Petit Envers" and the "Grand Envers" for an unfogettable freeriding on the Vallée Blanche! 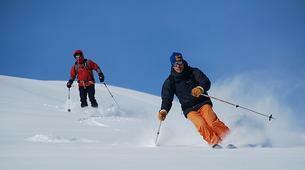 You must have a good level in backcountry skiing to participate.